Kaspersky Internet Security is a protection tool for your smartphone, that assures your defense system against malicious software, hackers and all kind of threats. 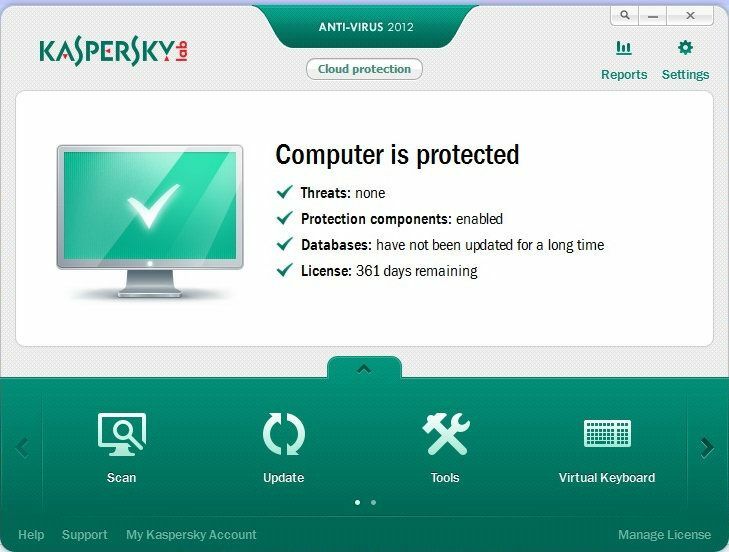 If you can be sure of something in your life, you can be sure that Kaspersky Internet Security provides ultimate protection against malware as well, it maintains your data confidentiality. Ensures your data confidentiality: with a single button you can set a person as private, that means that there will not occur recordings of calls and messages from that person. Tracks down missing (misplaced or stolen) smartphone using, GPS Find function (with a predefined SMS, you can see on Google Maps, where your smartphone is located), at the same time you can remotely block the access, or delete data from your device (also sending a predefined SMS). Protects your contacts, files or photos, so your data can't be accessed by someone else, providing a high level of security through encryption (which involves password shielded). Stops undesired calls and SMS (using contacts blacklist). Parental control- so you can always know where are your children (with GPS Find function), as well you can limit their SMS and calls. Fights Against Malware: it scans all your files from viruses, locks risky web connections, and provides automatic update. 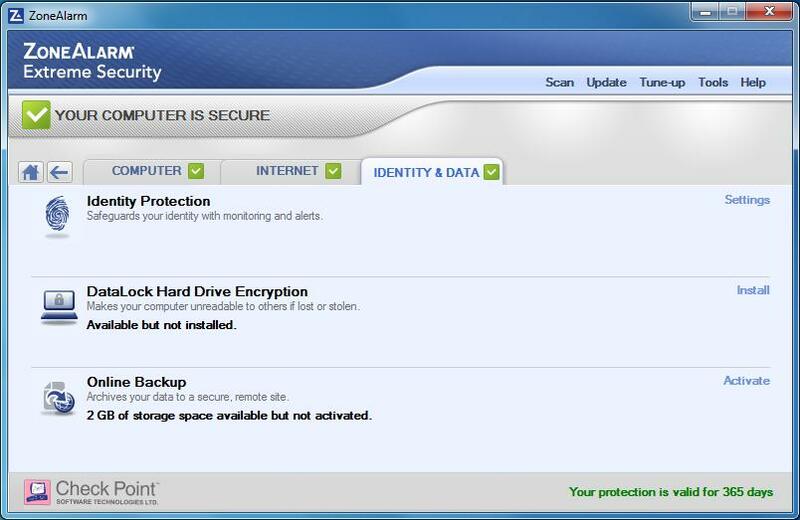 It gives you a high level protection, saving time by using a simple and easy to configure interface, also it removes the incompatible antivirus software, and uses less RAM. 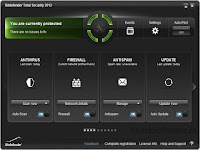 Avira Antivirus PRO assures your defense system, so you're protected in any activity on the Internet, allowing you, to navigate on internet and discover new sites, to exchange emails, use public WiFi networks, to download music, files or movies, all this under conditions of maximum safety for your PC. Avira AntiVir provides effective protection by preventing and eliminating even the latest versions of viruses, worms, and any kind of malware, and also, it eliminates undetected threats so far. It offers support for your defense system by: AntiAd/Spyware, AntiPhishing, AntiRookit si AntiDrive features, to escape of identity thieves, online spies , advertisements, and complex malicious software, and prevents malware downloads. Other benefits offered Avira PRO are: mail protection, WebGuard (it blocks access to malicious sites), Game Mode (you can access full screen applications without interruption), Rescue System (it makes a bootable rescue CD), Live Support and Netbook Support (protection for low-memory laptops). It offers real-time safeguard, overseeing your PC behavior, being ready to fight against any type of malware, known or unknown. This feature is not usable for Avira AntiVir Personal. - Rootkit detect - available now, for 64 bit system. HDD: 150 MB available disk space. WinRAR is a file compression software designed primarily for saving space on the drive. 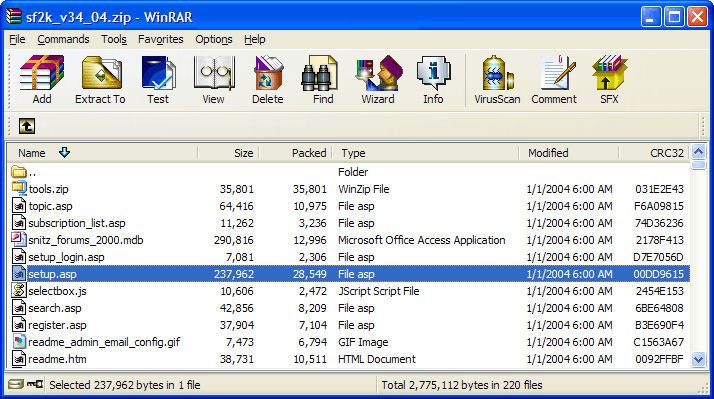 WinRAR is a powerful archiver and archive manager, which compress the contents of files up to 30% and can handle even ZIP files or other types of archives. What knows to do WinRAR? First! WinRAR is known around the world for power unmatched for file compression, the use of many other types of archives (ZIP, CAB, ARJ, LZH, TAR, GZ, ACE, UUE, BZ2, JAR, ISO, 7z and Z), providing a graphical user interface with highly intuitive, can benefit from a strong service via 128-bit encryption standard AES (Advanced encryption Standard), the ability to archive files to a size of 8.589 billion Gb (anyway no HDD of that size exists yet) also you can create archives with WinRAR or selfextracting, multivolum and recovery facilities and benefit from partially damaged archives. · GUI self-extracting archives did not work in Windows Preinstallation Environment (Windows PE). You can download and try WinRAR as a trial software for 40 days! Internet Download Manager, also known as IDM, recently was released. Internet Download Manager, also known as IDM, accelerates download speeds, sometimes reaching speeds of up to 5 times higher than the standard. In addition to this IDM 6.07 Build 11 is equipped with extended functionality to remove the numerous events that can prevent downloading of files, such as network problems, connection loss, power interruption or PC shutdown. In such situations, Internet Download Manager 6.08 Build 1 Beta / 6.07 Build 15 has the ability to resume files downloads after restarting and connect your PC to the Internet. Supports all popular browsers and applications (Internet Explorer, MSN, Mozilla Firefox, Google Chrome, AOL, Netscape, etc. ), downloading files is done with a single click, you can download videos from most popular video sites streaming, check downloaded files for viruses and other malicious programs, download links can be put in IDM with drag and drop, Internet Download Manager 6.07 Build 11 supports many types of proxy servers, offers multi-language support, IDM can accelerate the download speed standard up to 500%, the interface can be customized, etc. - Added: support for Firefox 14 and support for SeaMonkey 2.9. MSN, AOL, Netscape Navigator, Microsoft Internet Explorer, Opera, Mozilla Firefox and Firebird, Avant Browser, Google Chrome. Avira Internet Security Suite is everything you want and everything you need for your computer security, offering antivirus protection, antispam, firewall file, backup, and even more. 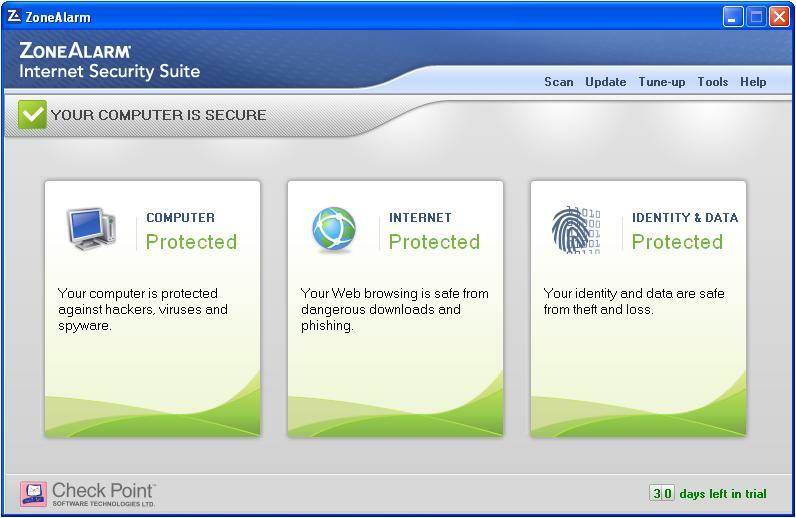 It's very useful tool, because it assures you, secure access on the internet. so you can download files, movies or music, you can do internet banking or online shopping, being assured that you are kept away from malware and that your personal data is kept confidentiality. 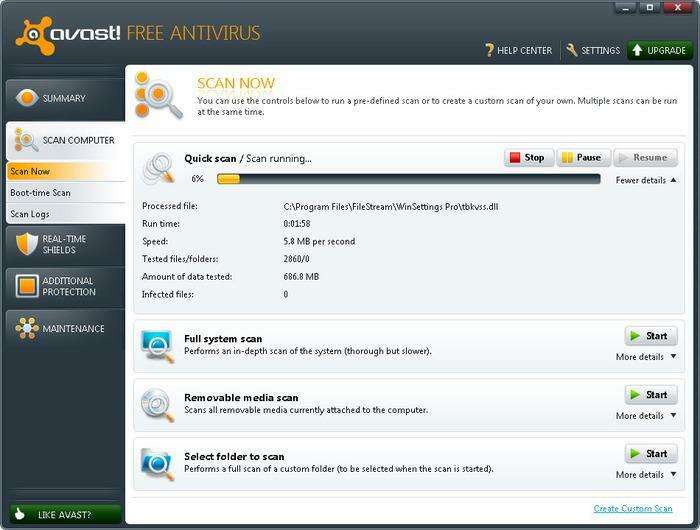 - it eliminates and prevents the latest versions of viruses, worms and Trojan fast. with a real-time protection, and you also get a bonus protection through Rootkit Protection, that located the malware which other common viruses miss. 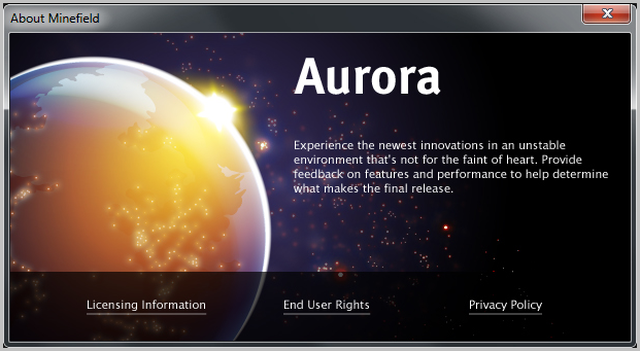 - it allows a carefree internet browsing so you can access your bank account or online investment, you can shop online without fear of identity theft, or of possibility of infiltration of hackers or of online spies and you also get rid of annoying pop-ups, all this with Avira's great features: AntiBot, AntiPhishing and AntiAd /Spyware. - internet protection is also assured throught a configurable and improved firewall, Web Protection, (which won’t allow you to access infected sites); AntiDrive-by (prevents you to download malicious programs), and AntiSpam filters (it keeps you away from unwanted and phishing emails). - other great benefits offered by Avira Internet Security Suite are: Backup System (allows the recovery of important data), Rescue System (that jumpstarts your PC), Game Mode (so nothing will bother you while you are playing games or watching movies), Child Protection (to supervise the internet activity of your children). 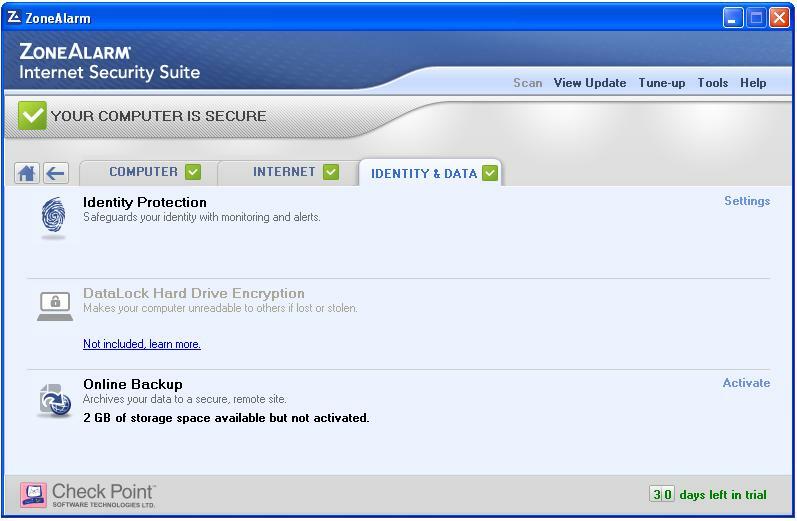 - it comes up with an improvement of all its features, making them more powerful in fighting against malware, with reduced use of computer resources by optimizing System Scan feature, which makes the computer's memory to be loaded only once, (in global initialization of all components) so that re-use and recycling of these components have little impact on PC performance. 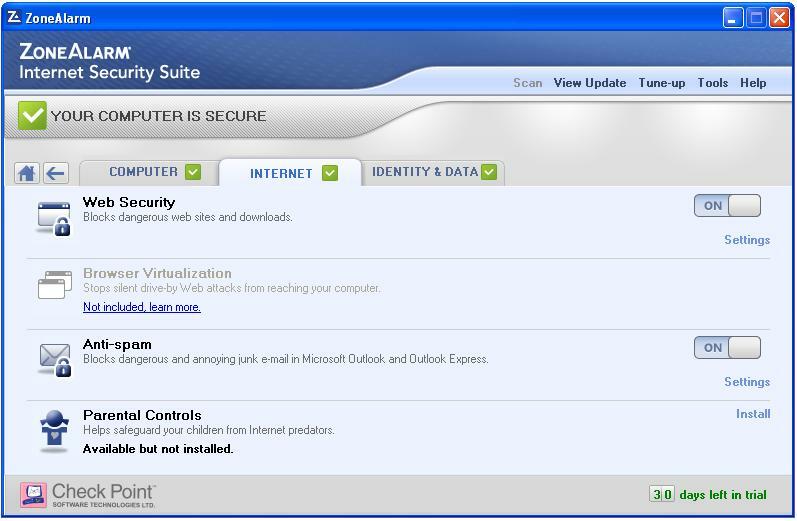 - its installation is much easier with the Express Installation and the interface enables rapid configuration to all its options: Computer Scan, Backup, Update, Renewal, firewall, Web and Mail Protection, Child Protection, Game Mode. - Avira offers technical support by TeamViewer product, that allows secure remote access of Avira's engineers on your computer (by selecting from the Help menu, Live Support option). - enhanced protection, by: IPv6 support for Firewall, Web and Mail Protection (creates a safe environment, preventing unwanted applications that tries to connect over IPv6), and host file surveillance (for that malicious programs don’t hinder antivirus update). - it removes incompatible software, so your computer won't be affected in the event that you have installed two security programs. OS: Windows 10, Windows 8, Windows 7 (32 bit and 64 bit), Windows Vista SP1 (32-bit and 64-bit), Windows XP with SP3 (just 32-bit), and Windows XP with SP2 (just 64-bit). 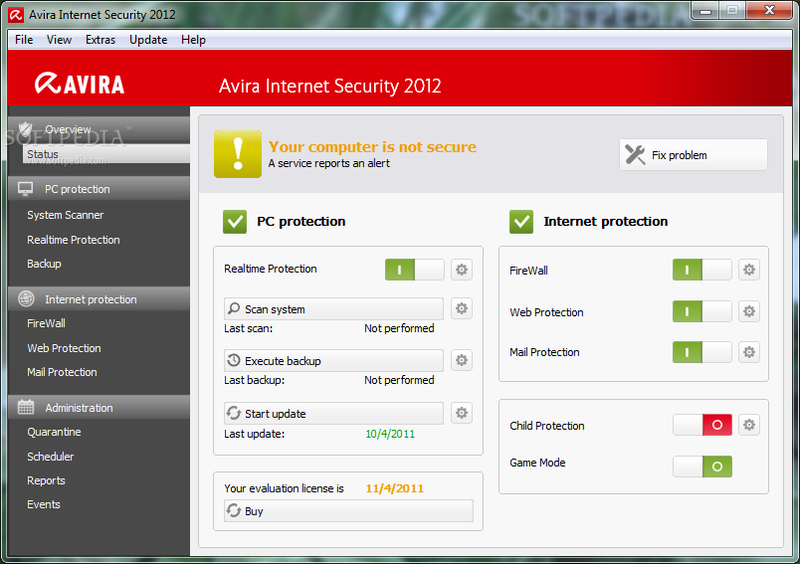 You can download and try Avira Internet Security Suite for 30 days before deciding yourself to buy or not this product! It's an advaced software firewall that offers you multilayered security that keeps your PC in safe from hackers and dangerous applications (software) from inside or outside of your PC's network. It's a special version because it's joined by an antivirus and anti-spyware engine than can detect and remove dangerouse software like Trojan horses, viruses, spyware, worms, bots, keyloggers, etc. 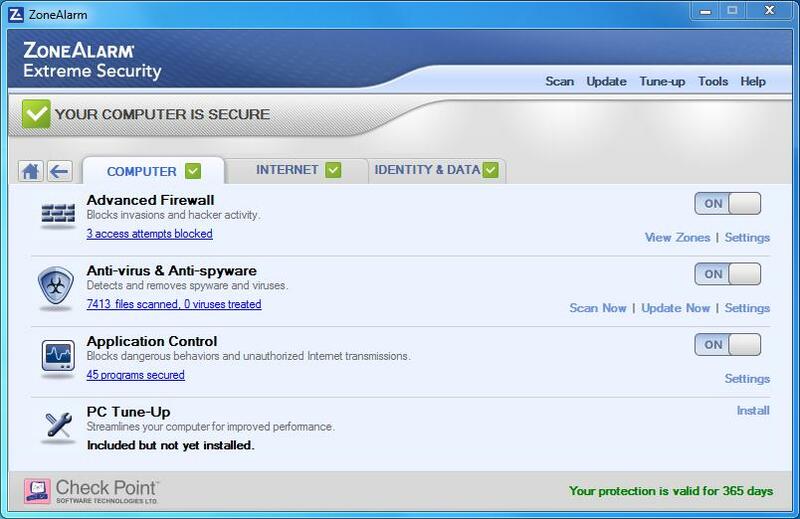 You can use and try it 30 days for free before to decide yourself if you buy or not a license for ZoneAlarm Internet Security Suite. Avast! 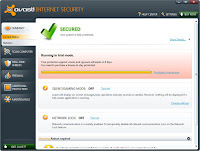 Internet Security was developed by Avast Software is a great security suite that provides protection against malware. But what makes this product so special is that it assures maximum protection with a high performance antivirus tool. It comes up with entirely new features to strengthen the security of your PC, providing a firewall, antispam, antispyware and antivirus, that without slowing down your computer speed. It offers: antivirus, anti-rootkit and anti-spyware protection, spam filter, firewall; and you also benefit from Web Rep feature - a system for checking the reputation of web pages. You have great scaning options: quick scan or deep scan, it gives you the possibility to scan the entire system or, just the scan of the drives, and even if the scanning of the whole system can take a while, an advantage is that, at this time memory and CPU are used at a low level; and, you also get Boot-Time Scan special features, that cleans your system of threat before the computer starts. 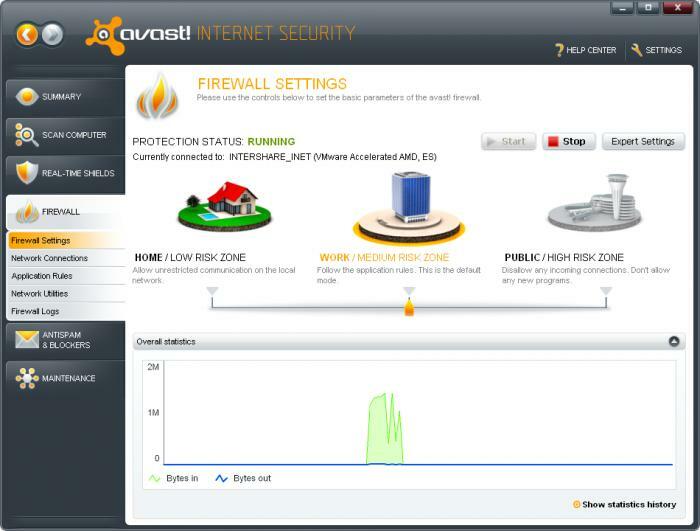 An important feature of Avast! is SafeZone - it’s a safe environment (provided by creating a virtual display) where internet banking and online shopping occur without the slightest possibility of absconding personal data, even if transactions are made from an infected computer. Avast! Antivrus features have been improved, thus with Avast! Internet Securitty, you get rid of new and undiscovered threats until now; it'll supervise your system, examination of suspicious programs being made in a safe and secure environment. A New Intelligent Scanner improves your PC's performance through a scan that takes account of safe applications; applications that will not be scanned unless they are modified, so that way, your computer doesn't run unnecessary operations, reducing the number of scans required by 80%, this means an improvement of computer speed. Avast! 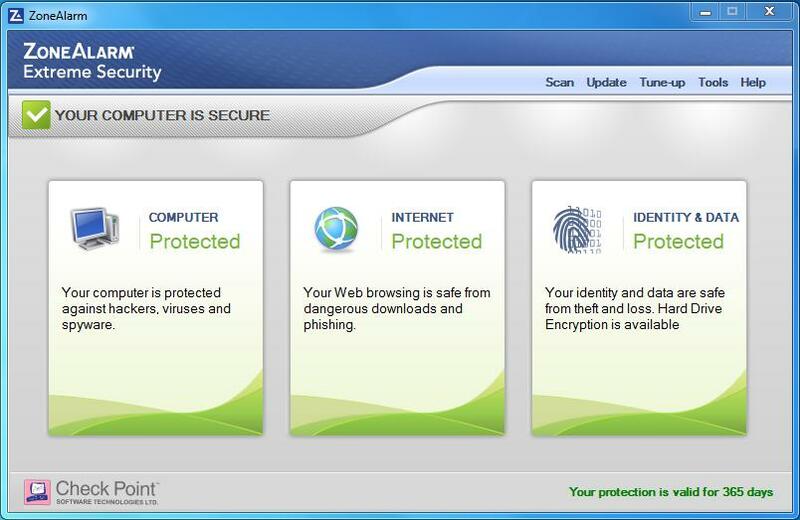 Internet Security is a trial software (it's limited to 30 days of use), but you can, also buy a license. OS: Windows 10, Windows 8, Windows 7 (32-bit or 64-bit), Windows Vista (32-bit or 64-bit) and Windows XP Service Pack 2 (32-bit or 64-bit). It's a software that helps you to control and edit digital images. Constructed for both equally amateur and professional photographers, Kestrel GX will help you edit digital images in a couple of steps. Kestrel GX 1.2.2 supports a lot more than 20 different file formats including a lot of digital cameras RAW. Kestrel GX can be a full workflow instrument packed with lots of helpful instruments for photographers. · Rename countless numbers of photographs in just a handful of seconds. · Go through/Publish EXIF information in JPEG, TIFF and PSD data. · Print photos utilizing designed-in templates or create your personal templates. · Edit EXIF details together with shutter velocity, publicity time, lens aperture, focal length, almost everything. · Study/Jot down IPTC details in JPEG and TIFF data files. · Go through GPS data out of your photographs. · Export EXIF, IPTC and GPS details to text files. · Get rid of EXIF or IPTC details from your pictures. · Supports over 20 unique document formats (TIFF, GIF, JPG, PCX, BMP, ICO, CUR, etc.) including numerous photographic camera RAW. · Convert your pictures to BMP, GIF, JPG, PCX, PNG, PSD, TGA and TIFF structure. · Build PDF information with the pictures. ·You can create your own personal watermark templates joined by text and images. · Designed-in impressive image editor permits you to perform excellent editing in 10 basic methods! · Resize thousands of pictures with a solitary just click at very quickly velocity. · Rate your pictures and manage them using a lot of categories. · Supports the utilization of several databases. · Sophisticated look for engine enables you to lookup for images depending on metadata (EXIF, IPTC and GPS). · BUG FIXED: Results windows (End user Filter, Bump Map, Lens, Wave and Morphing Filters) not displayed correctly on screens possessing low resolutions. · Install listing can now be selected throughout installation. RAM: 256 MB (512 MB recommended). Display: 1024 x 768 pixels. Other software: Adobe Reader 6.0 and Microsoft Internet Explorer 7.0. 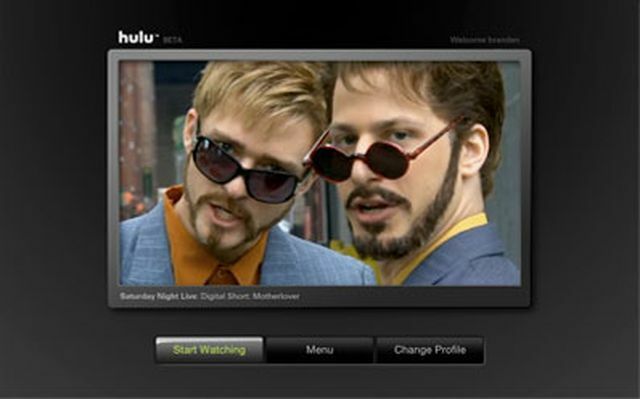 It works just like any video player, but it is optimized for TV programs promoted on hulu.com . Currently access to multimedia content on hulu.com is only accessible to Internet users in the United States, but most people hope that soon will access hulu.com programs. However Hulu Desktop satisfy even the most demanding preferences, so hulu.com will meet you with three solutions for most common operating systems: Windows, Macintosh and Linux. Hey, some new major updates came from the Mozilla browser. Mozilla Firefox is enjoying great popularity among Internet users, being a strong competitor to rival products from Microsoft and Google. Was implemented a new interface for the download feature, was improved browser's performance and some security fixes for multimedia content, added a few more improvements. 52 MB hard disk space. It's a free solution that is designed to protect you from attacks from the Internet or any network to which you connect your PC or laptop. 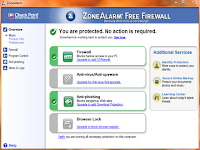 Millions of people use ZoneAlarm Free Firewall for protection against attacks coming from computer networks or the Internet. These attacks targeting not only hackers, but also a variety of other attacks: recognition, worms and IP scanners, etc. 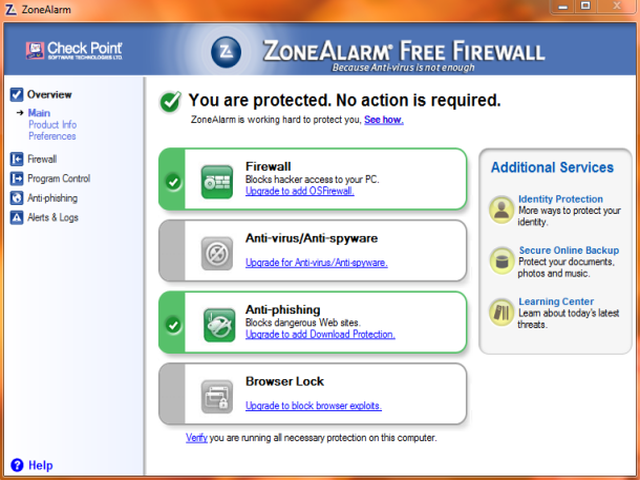 - Two-way firewall: ZoneAlarm Free Firewall constantly monitors all network traffic entering and leaving your PC. Use it just for personal use only! Else you need to buy a license. Recently released, this software will meet you with a new design and features. 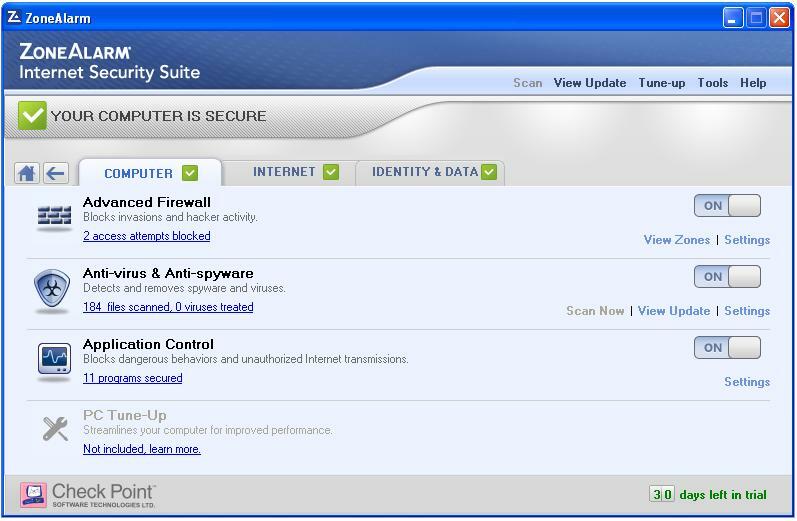 Advanced SystemCare Free is a software for maintenance and optimize PC performance, including the security. - Speeds up PC performance and internet access. - Defends PC security with extra protection. - More than 20 dedicated smart tools for everyday PC maintenanc. - was improved user interface. I am more than pleased with this software, especially that it is freeware. HDD: 30 MB of free space. OS: Microsoft® Windows® 10, Microsoft® Windows® 8, Microsoft® Windows® 7 (32-bit and 64-bit), Microsoft® Windows® Vista (32-bit and 64-bit) and Microsoft® Windows® XP (32-bit and 64-bit). Recently was released a new version of Avast! 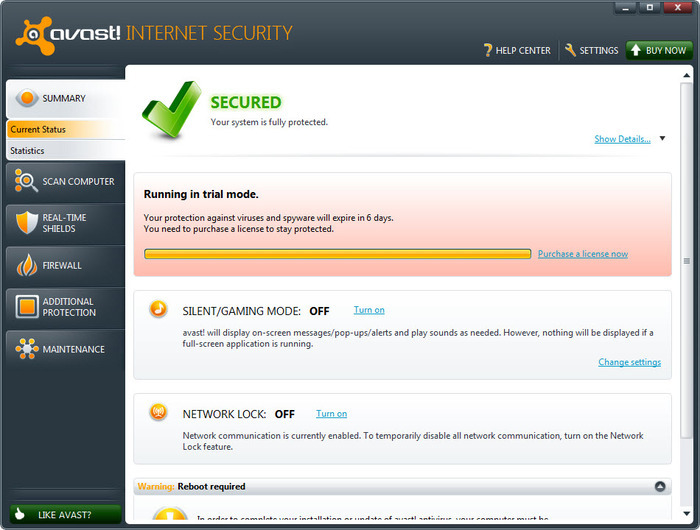 Free Antivirus, (aka Avast! Free Antivirus 2019 ), promises new features to enhance security in your PC. It's one of the best free antivirus on the market, and in addition,as a personal experience, I can say that this is my favorite antivirus, like the other tens of millions of people worldwide. Also it doesn't involve process restart following set up, but this really is crucial for Sandbox. The user interface continues to be modified and it is a nice, present day. Resource consuming is reduced, without effect on the program and updates to this version are minor: Streaming improvements, new design, export\import configurations, instrument assist. - Real time anti-rootkit protection. - Potentially unwanted programs detection. - Behavior Shield, behavioral Honeypots, file System Shield, mail Shield, web Shield, P2P Shield, IM Shield and Network Shield. 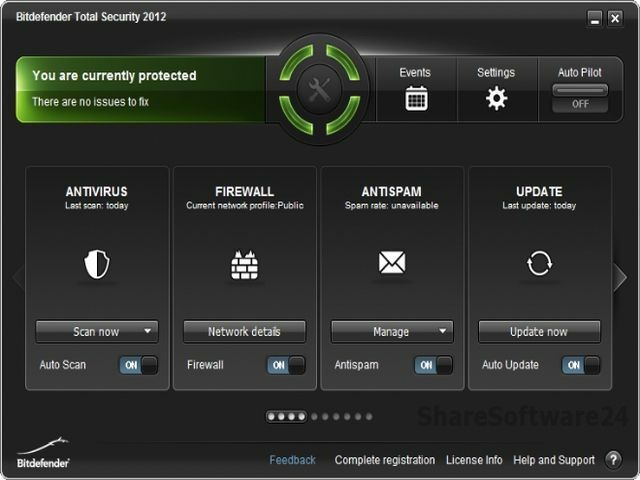 - Smart virus definition updates and fast application of updates. - Optimized forIntel Core i7. - CPU optimization (ie multi-threaded scanning). HDD: 200 MB of free space.